Psst! Wanna Buy A TouchPad Go? When I no longer care, a stack of them go up for sale! Not even as a memento. Nothing but slow, old, heavy bricks now. The best bits of webOS were grave-robbed by Android and iOS. Whitman initially turned WebOS, designed for smartphones and tablets, into an open-source software project and rebranded it as a wholly-owned subsidiary called Gram. She sold the operating system’s code to LG Electronics Inc. (066570) earlier this year. Hewlett-Packard retained WebOS’s patents under that deal and licensed them to LG. The agreement would be unlikely to encumber Hewlett-Packard’s ability to sell its WebOS patents, one of the people with knowledge of the sales process said. Will Apple and Google team up again to buy this portfolio, as they’ve teamed up in the past? Or will Apple, already using a Card-like UI in iOS 7, grab them alone? I was right to move on from webOS. It’s clear that it’s dead. 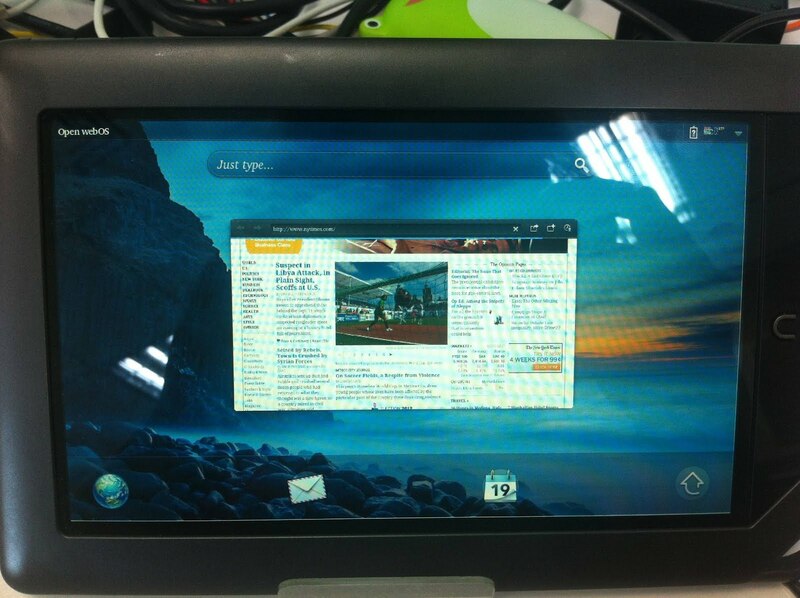 Even LG seems to have abandoned its webOS plans, with the rumor of them doing devices based on Google’s Chrome OS. It was a year ago that Open webOS beta was released. There was a minor flurry of excitement as various people got it semi-working on a bunch of devices. Then along came MultiWindow Android. And MultiWindow Android is just better. LG is supposed to be using webOS for a Smart TV. With Chromecast having shown people that a $35 dongle can make an ordinary TV smart enough, I think LG has placed a losing bet. In addition, combining MultiWindow Android with Miracast and a large-screen TV is superior to any Smart TV that’s ever been produced. webOS was cutting edge for its day but I think that day is now over. webOS is dead. Time to move on. Well, even more Open webOS action on YouTube! But I’m sure he did it because he can. It’s all in French but a very pretty video for those of you with desktop systems that can do this. I am more excited than I probably should be seeing these! Cards! Cards on a NookColor! These days I’m glad to see anything being done with Open webOS. 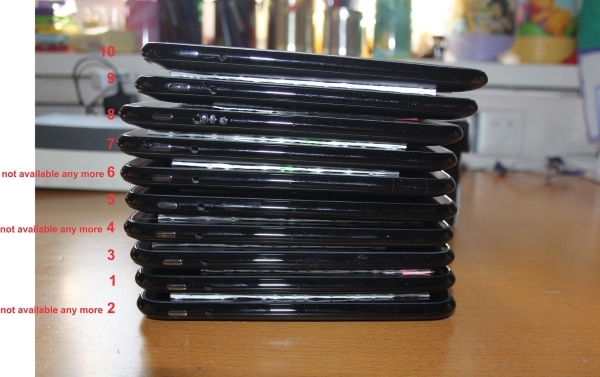 Developers for PIC have been hard at work over the last couple weeks developing a port of Open webOS for the Google/Samsung Nexus S 4G phone. There’s still a lot of work to be done, but we’ve recently reached a milestone where we get to the Luna unlock screen, after which it crashes. we’re now working to get it stable, after which we will be working on getting the touch screen functional so we can log in and start interacting with the UI. PIC’s approach in this project differs from that currently being pursued in other porting projects such as the Galaxy Nexus by webOS Ports, in that rather than have webOS exist separately from Android and provide an alternate boot option, our implemention aims for more of an integration with the Android operating system. Our vision for this project envisions a scenario in which users are able to switch quickly between the two systems without having to reboot, presenting a more convenient way for those webOS users who rely on Android apps to be able to access them. In addition, this will also potentially provide better access to phone specific hardware for which good driver options are not available for webOS. But what will HP do with it in the end? 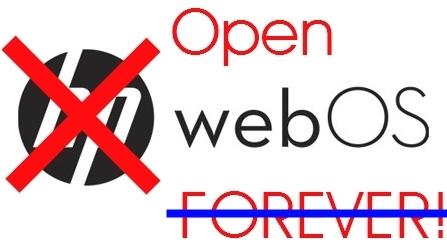 As The Powerbase points out, let’s just hope that HP is not foolish enough to put WebOS back into the consumer market. The future of WebOS is in the enterprise. The market is not sewn up. Apple has taken a good lead but the company is not committed to making an enterprise play. The Android platform is fractured, RIM is all but dead and Android is too fractured. Innovation does not come from the Enterprise. It comes from the Consumer market. Did Jobs for one moment ever consider making the iPhone for the Enterprise? No. And can you argue with the money Apple has made? Apple didn’t even give in to Enterprise security demands and release an iPhone model without a camera.